Addressing the 19th Foundation Day programme of TMC, its vice president Mukul Roy said the party will work to unite the opposition forces for the next general election. As TMC chief Mamata Banerjee virtually leads the opposition offensive against the Modi government on the note ban issue, her party Trinamool Congress made it clear on Sunday that it aspires to play a ‘major role’ in formation of central government in 2019 and pledged not to stop despite the “vendetta politics”, as its leaders faced renewed heat over chit fund scams. We will not stop until and unless we play a decisiverole in national politics in days to come. In 2019, TMC will play a major role in government formation by unitingopposition forces,” the senior TMC leader said. His statement came just days after Trinamool Congress MP Tapas Pal was arrested by CBI for his alleged involvement in Rose Valley Chit Fund scam. CBI has accused the ponzi firm of duping investors of Rs 17,000 crore, of which Rs 450 crore is from Odisha alone. The company was active in Odisha and had 28 branches in the state. “He (Prime Minister Narendra Modi) can arrest all of our MPs, I do not care. This is nothing but vendetta politics. We will continue with our protest (against demonetisation),” a furious Trinamool Congress supremo had said after the arrest. TMC leader in Lok Sabha Sudip Bandopadhyay too has been summoned by the central agency in the same case. Party leader Madan Mitra was granted bail by a special court in September, after 21 months of his arrest for his alleged involvement in the Saradha chitfund scam. Suspended Trinamool Congress MP Kunal Ghosh is also out on bail in cases related to the multi-crore Saradha chit fund scam. Ghosh was suspended by the Trinamool Congress in September, 2013 for anti-party activities after he had started making allegations of involvement of some party leaders in the scam. Investigation into the ponzi scam, which came to light in 2013, revealed that the Saradha Group had allegedly cheated investors of Rs 1,200 crore in mainly rural areas, as per an official estimate. The CBI had taken over the investigation in June, 2014 following an order of the Supreme Court. 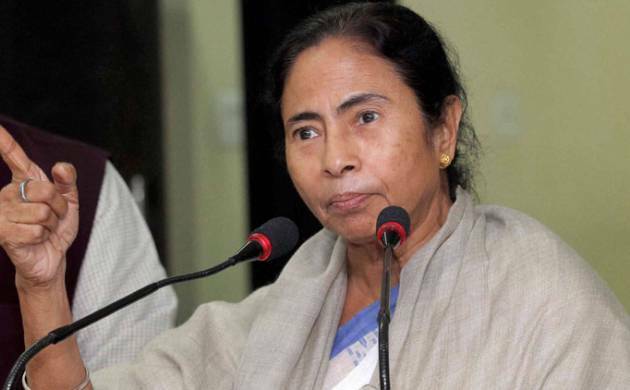 TMC supremo and West Bengal Chief Minister Mamata Banerjee, who has been opposing demonetisation and demanding its roll back since the beginning, led protests in Delhi besides holding meetings in Lucknow and Patna. “Started on 1 January 1998 by people of Bengal, Trinamool turns 19 today. We rededicate ourselves to be with the people, for the people, by the people,” Banerjee said in a tweet on Sunday.Banerjee, who was baptized into politics through herstint in Congress first as youth Congress leader and then asMP, floated her party Trinamool Congress in 1998 following differences with Congress. Her party won for the second consecutive time in 2015 in West Bengal Assembly polls.